Since 1994 there has been a surge in private land ownership by low-income citizens in South Africa. Approximately a third of residential properties registered by the Deeds Office are previously State-subsidised houses. More than 12 500 000 people live in these homes, constituting a large base of individuals requiring legal services. Many of these new property owners live at the interface between the formal and informal economy. Standard property, succession and family law approaches are often ill-equipped to suitably address the many and distinctive (power) imbalances typical of this sector. New legal strategies affordable to both lawyer and client need to be developed. 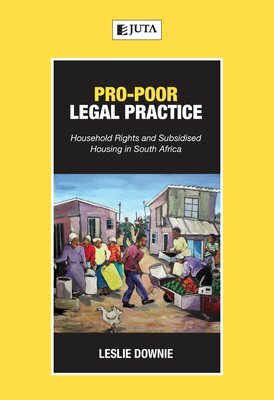 This book discusses methods for developing pro-poor contracts and land tools for low-income clients. Prenuptial and cohabitation agreements, housing rights and land ownership are explored, since they are areas core to the sustainability of the private law.